Facebook has plans to merge WhatsApp, Instagram and Messenger. Read on to know what this can mean for their users. Having gone through the rollercoaster ride of a year, Facebook CEO Mark Zuckerberg has set his eyes on a new project which seems as mercurial as the type of news Facebook has been in recently. As reported first by The New York Times, Zuckerberg has set his eyes to integrate the three social media/messaging giants owned by Facebook—Messenger, WhatsApp and Instagram. This task seems daunting enough of a challenge on its own accords and pales in comparison to the next step in line, which is to implement end-to-end encryption in all the platforms. Facebook wants the three apps to communicate with one another in hopes of providing a better messaging experience across the platforms. These apps integrated with each other may provide a facility to be recognized by the apps through one login, taking the users out of the hassle of keeping track of three separate profiles. This may provide an enhanced ecosystem where businesses could benefit from the shared features of all the platforms without having to deal with them separately. The apps may also benefit from sharing information, helping users use them effortlessly for personal or monetary purposes. This seems like a move in the right direction after a long time from Facebook, purportedly keeping users’ interests in mind and making an effort to help give back to the community hurt by Facebook’s actions. Maybe the backlash from the recent controversies is making the tech giant move its huge techno paws for good, even though it is to make amends. Currently, all the three apps stand at varying positions. WhatsApp offers end-to-end encryption from the get-go. It has achieved that in the recent past without any hiccups. The Facebook Messenger has an option of providing encrypted chats through its secret conversation option. Instagram, on the other hand, provides no such option. WhatsApp and Messenger both implement the protocol in a different way, streamlining both could be likened to streamline two different protocols altogether. WhatsApp and Messenger both use the open-source Signal Protocol for communication. Instagram does not. It seems like that it is easier to integrate both the apps using the same protocol together, leaving only Instagram out as the real effort requiring work. However, this is not the case. WhatsApp and Messenger both implement the protocol in a different way, streamlining both could be likened to streamline two different protocols altogether. So integrating all of them together requires a similar effort, at least from where we standing. Facebook confirmed reports about the integration in its Q4 2018 earnings call last week. According to the transcript, Zuckerberg admitted that the project would be a long-term undertaking and that it would not likely be done until 2020. So—it seems like a massive task, that’s all. It is a tough pill to swallow, but for Facebook, not us. Facebook is looking out for us … or is it? The strategy looks like it is designed to help people out. People, on the other hand, have different responses altogether. Some of them are challenging the possibility of the action, like Johns Hopkins University’s Matthew Green, who thinks that the task may not be completed by Facebook, for the cost of loss in terms of data will prove to be too much for Facebook to go through with it. There are concerns about how the apps will communicate with each other meanwhile they are in process of being integrated. End-to-end encryption works in such a way that the message is only accessible and understandable by the sending party and the receiving party. Whatever happens in between, the message is secured and cannot be translated. It is like a sealed package, whose seal can only be opened once. If the package arrives at the receiver end with a damaged seal, the credibility of the contents is lost. So what will happen when a message is sent from the encryption-enabled WhatsApp to the non-encrypted Facebook Messenger or Instagram. The encryption would be broken midway, causing serious concerns of when it happened. The possibilities are endless. This may require WhatsApp to have non-encrypted traffic set up between it and the other apps. On the other hand, there are people who think that this is another move for Facebook to add more residence to its existing behemoth of a data bank. This might be a move to have even more insight into behavior patterns. The way these apps identify their users is different. Facebook requires a legal name by its controversial “real name” policy, WhatsApp operates by having only a mobile number and Instagram through a mobile number or email address. Integrating all three would simply mean connecting dots and painting a clearer picture of an online personality. While this is a huge concern for privacy advocators all over, it also has raised concerns for people who use either of the apps and may not want to use the other. They fear the probable push that may come for them to use these platforms as a unified service. Going through the hassle of keeping all the login information separated seems like a task on its own. They would rather have one presence on the internet that connects them to their different profiles on different platforms. This may also prove beneficial to counter phishing attacks and identity thefts. Once the apps are controlled in a centralized manner, it will be difficult for anyone to pretend to be someone else. Facebook is quick to debunk any concerns that are coming their way about the intentions of the decision and its ramifications. They plan to complete the whole project by the end of 2020, which is an effort by them in the result of the privacy and data misuse allegations they have faced in the past. 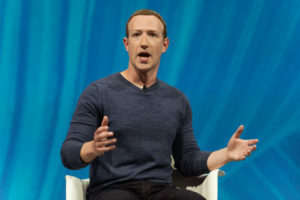 Zuckerberg shared his view in a Wall Street Journal op-ed negating the conspiracies and scandals surrounding the company. A spokesperson from Facebook shared their interest in building apps that are fast, reliable and are easy to connect with family and friends. They further stated that they are trying to make their messaging apps have end-to-end encryption with the ability to easily connect users with their friends and family across networks. Zuckerberg shared his view in a Wall Street Journal op-ed negating the conspiracies and scandals surrounding the company. He re-enforced the idea that it is the user who is in power of choosing how their data is utilized for advertisement and not the company. The company simply needs it to operate as per user requirements and needs. He also refused that Facebook sells users’ data and said that it was counter-productive to their business model. Furthermore, he also accepted that Facebook does collected data but it’s mostly used for security and operational services. The op-ed piece didn’t come after the merger news broke, but it does give insight into the Facebook’s CEO’s mind regarding the questions which may soon arise regarding privacy and data security. This almost seems pre-emptive. Are There Any Reasons to Be Worried? When Facebook bought Instagram and then WhatsApp, Zuckerberg vowed to let them run their apps independently. This merger is exactly what he promised not to do. Observers believe that for a person to go against their own words, it gives little credibility to what they claim. In 2018 when both Instagram and WhatsApp found themselves without their founders, it was evident that something was up. Both CEOs remained on board after the buyout to keep running their apps to the best of their vision. It can only be assumed now that something which challenged their vision and core values was coming their way which they couldn’t let slide. This merger makes it clear what it was. WhatsApp was always about ease of use, focused communication without distractions, keeping the users’ data secured and private. The recent decision along with the departure of the founder CEO raises a question mark on all the core values that WhatsApp has had. Keeping the technical aspect aside, the real question remains on the integrity of the move. Whether it is the data-selling allegations or meddling with electoral results, the user data gathering without consent or collection of data of non-users, one thing is clear, the issue presents itself first and then comes a clarification followed up by a probable apology. Facebook finds itself in the middle of a controversy, tries to get away from its mistakes without any consequences and usually does so. So why stop now? Making the water more muddled is the recent breach of the agreement by Facebook with Apple, which resulted in Apple revoking Facebook’s distribution certificate. Facebook was found using Apple’s enterprise program tools, which are specifically for company employees, for customers. Observing Facebook’s behavior, we can’t help but think about caution, keeping our wits together and look towards the brighter side of the internet these days, the unsung hero of privacy, the VPN. Looks like Facebook has to work really hard to make Matthew Green lose his lunch money.